The television series entitled WordGirl is a children's animated movie about the adventures of WordGirl. WordGirl in the series is actually an out lander from a different planet known as Lexicon who now lives on earth and has two identities. WoodGirl was born in Lexicon where she was exiled after she stubbornly got into a spaceship. As the spaceship made its way, the pilot Captain Huggy who was a monkey lost control of the ship and had a crash landing on earth. WordGirl woke up from sleep and found herself on earth and realized that the planet earth brings out the mystical powers within her such as enabling her to fly, and have extra strength. She starts using these powers creatively and even to assist others. She utilizes the damaged spaceship as a place where she carries out all her activities with her partner Captain Huggy. Not long after, she comes across Tim and Sally Bodsford who adopt her and name her Becky Botsford. Tim and Sally also helped to give her a reason to live again and have confidence in herself. They enroll her in an elementary school as a fifth grade student since she is ten years old. In her new life she is now a sister to TJ who is the son of Tim and Sally. TJ however loves WordGirl but despises Becky not knowing the two characters are the same person. Tim and Sally also take Captain Huggy into their home as a pet and name him Bob. As the series proceeds, WordGirl struggles to strike a balance between her two roles as WordGirl the super hero where she works in collaboration with Captain Huggy and Becky the normal lady. As WordGirl she gets into fights with vagabonds and criminals where she usually defeats them. WordGirl is however faced with the challenge of making sure that people do not discover her second identity as WordGirl but continue to know her as Becky. Rhyme and Reason, a new villainous duo, arrive in the city for a crime spree. But when WordGirl goes to put a stop to them, she finds that these scoundrels aren't on the same page - resulting in some of the strangest crimes she's ever seen. As WordGirl chases the quarreling villains around town, she realizes one of her own friendships is in jeopardy, too! Can WordGirl save her friendship AND her city? / Heroes, villains, and narrators alike are feeling down. WordGirl can't muster the enthusiasm to battle Tobey's robots, and Rhyme is lost without Reason. In order to stop these ridiculous (and destructive) crimes, WordGirl decides to get the villains back together and making sense. But once their back together, will Rhyme and Reason be too powerful to stop? Somehow a broken figurine leads to WordGirl and TJ becoming glued together, back-to-back. Though TJ can¢‚¬´t think of anything better than spending time with his favorite superhero, WordGirl is desperate to get unstuck. Unfortunately, she doesn¢‚¬´t have much time to figure out a solution. Granny May is on a crime spree! Will WordGirl find her way out of this sticky situation in time to stop Granny or will TJ weigh her down? / Unfortunately for Becky, it¢‚¬´s her turn to take home the class pet " a hairy, scary, crawly tarantula named Shaggy. Though she is afraid of the spider, it¢‚¬´s her responsibility to care for him, which means when Dr. Two-Brains reveals his latest cheesy crime, Shaggy comes along for the ride. Will WordGirl¢‚¬´s fear of the spider get in her way, or will she find a way to overcome her phobia? Becky, Bob, TJ and Johnson are spending the day at the city water park... right after Mrs. Botsford finishes her seemingly unending list of errands. As the kids follow Mrs. Botsford to the bank, the grocery, everywhere but the water park, TJ and Johnson amuse themselves by imagining what WordGirl would do if a villain were to suddenly appear. Little do they know, their crime fighting knowledge will be put to the test when they finally arrive at the park. / Granny May is the star of her own advice show called ¢‚¬ÅGranny¢‚¬´s Corner", and though her advice sounds innocent enough, it has a way of inciting chaos around the city. WordGirl knows Granny May is up to something (she always is), but how can a couple of pieces of bad advice be criminal? The Botsford Family is excited for their big, tropical vacation. A week of relaxation is very much needed, especially for a tired WordGirl! However, their plans get ruined when a big snowstorm cancels their flight. Mr. Botsford decides they¢‚¬´re going to make the best of it by having a tropical(ish) vacation inside their own house! But that vacation gets put in jeopardy, too, when Mr. Big unveils his latest mind control scheme, causing Becky¢‚¬´s vacation to become anything but relaxing. / Dr. Two-Brains went out for a night of Villain Karaoke, and now his voice is hoarse, which is a big problem for a villain who loves to talk. Since he can¢‚¬´t just stop committing crimes, Dr. Two-Brains hires an actor to serve as his voice in the meantime. Now, WordGirl has Dr. Two-Brains, his henchman and his voice actor to defeat, and to make matters worse, Becky has really hurt TJ¢‚¬´s feelings. But how can she take the time to make things right with her brother when there¢‚¬´s a crime spree to stop?! It¢‚¬´s the 129th Annual Botsford Family BBQ, and tradition decrees that any Botsford 10-years-of-age must prepare a bowl of pineapple pistachio coleslaw in order to earn their apron. That means this year, it¢‚¬´s Becky¢‚¬´s turn to prepare this (very elaborate) coleslaw. It¢‚¬´s an important rite of passage, and Becky is struggling to get the recipe just right. To make it even worse, Chuck the Evil Sandwich Making Guy is on a mission to rid the city of pineapples, the main ingredient in Becky¢‚¬´s coleslaw. Can WordGirl stop him in time, or will she end the day apron-less? / Pretty Princess has released a limited edition Magic Sparkle Wand, and Becky Botsford really, really, really wants it. Mrs. Botsford tells her that if she wants the wand, she has to earn the money for it, so Becky gets a job plant sitting for her neighbor. The job seems easy enough, until Mr. Big begins his latest mind control scheme, which involves a ray that can turn anything " person, dog or beluga whale " into an adorable, baby version of itself. 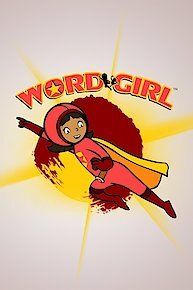 It¢‚¬´s WordGirl to the rescue! But will Mr. Big cause Becky to neglect her plant-sitting duties and miss out on that Pretty Princess Wand? It¢‚¬´s the day of the Magical Magicians Convention, and the entire Botsford family is excited to go and see their favorite magician, El Mysterioso, perform live. Everyone except Becky, that is, who would much rather be at the Pretty Princess book signing across the street. But Mr. Botsford emphasizes how important it is that they spend the day as a family. In the middle of the convention, Becky¢‚¬´s super hearing picks up the sound of Dr. Two-Brains evil cackle from across the city. What could he be up to? Something criminal, no doubt. Can Becky figure out a way to suit up as WordGirl without missing out on family time and disappointing her father? / TJ Botsford is mere hours away from winning the local mini golf tournament and getting his picture on Patrick Needlemeyer¢‚¬´s Miniature Golf Super Universe Wall of Fame (which is only the biggest deal ever). When Becky catches Eileen cheating " ¢‚¬ÅI have to win because it¢‚¬´s my birfday!" " she knows she has to stop her. She can¢‚¬´t let TJ lose to Eileen! But what lengths will Becky go to prevent Eileen from winning? Will she go so far as to cheat herself? When Becky inherits Mrs. Botsford¢‚¬´s old accordion, she discovers she comes from a long line of stellar female accordion players. At first, Becky is excited about learning an instrument, but she quickly realizes that she, well... isn¢‚¬´t very good. She is pretty terrible actually. But her practice session gets cut short by Granny May who, with the help of the stolen Magnifying Diamond, is cracking safes all around the city. Can WordGirl defeat Granny May and still get in enough accordion practice to make Mrs. Botsford proud? / The Botsfords are out enjoying a family hike through the woods. The sounds of leaves rustling, birds chirping and TJ and Becky¢‚¬´s incessant arguing fill the air. TJ won¢‚¬´t keep his hands off of Becky¢‚¬´s things, and she is getting fed up. When the Botsfords stumble across WordGirl¢‚¬´s secret spaceship hideout, TJ immediately runs inside, eager to play with all the cool gadgets inside. As Becky is rushing to get her family out of the hideout, she hears the Whammer whamming trees close by. If he discovers her hideout, WordGirl will really be in trouble! But how can she defeat the Whammer and monitor TJ at the same time? After an unfortunate turn of events at the grocery store, Tobey and his mother become the guests of honor at the Botsford¢‚¬´s Thanksgiving dinner. Becky is less than thrilled to be sharing a table with her one of her secret nemeses, and Tobey would rather be spending Thanksgiving with WordGirl (little does he know he is!) When Tobey unleashes his Pilgrim-themed robots on the city, can Becky find a way to defeat him without being missed when Mrs. Botsford carves the turkey? / Becky¢‚¬´s best friend Violet may be great at drawing and painting, but when it comes to singing, well, let¢‚¬´s just say it isn¢‚¬´t her forte. But when Violet tells Becky that she is going to audition for The City¢‚¬´s Got Too Much Talent, Becky doesn¢‚¬´t have the heart to tell her it isn¢‚¬´t a good idea. To make things even worse, the show has a new judge " The Butcher! Instead of slinging sausages at WordGirl and Huggy, the Butcher is running eager contestants through a verbal meat grinder. Can Becky stop Violet from auditioning without hurting her feelings? Becky, Violet and TJ want to try their hand at roughing it in the great outdoors... so they set up a tent in the Botsford backyard. Though TJ spends the night trying to frighten the girls with his best ghost stories, the night gets really scary when the Energy Monster breaks loose, making Violet confront her fear of the dark and WordGirl her fear of... spiders? / It¢‚¬´s a day at the beach for both superheroes and super villains. However, while Becky and Bob bicker over how to properly build a sand castle, The Whammer and Invisi-Bill form a new (crime-filled) friendship at the Villian School Barbeque. Can this friendship be the key to finally defeating WordGirl and Huggy, or will our superheroes resolve their differences in time to stop the crime spree? Mr. Botsford gets a job as Beckys substitute teacher/Its a day at the beach for heroes and villains. WordGirl is currently available to watch free on PBS Kids and stream on PBS Kids. You can also stream, download, buy, rent WordGirl on demand at Amazon Prime, Amazon, Google Play, iTunes online.